Hi, all! 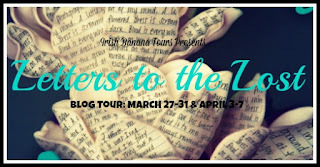 Welcome to the next stop in the Letters To The Lost Blog Tour. Be sure to stay turned, because there's also a giveaway where you can win a finished copy of the book. Trust me, you want to read it! When Declan reads a haunting letter left beside a grave, he can't resist writing back. Soon, he's opening up to a perfect stranger, and their connection is immediate. But neither Declan nor Juliet knows that they're not actually strangers. 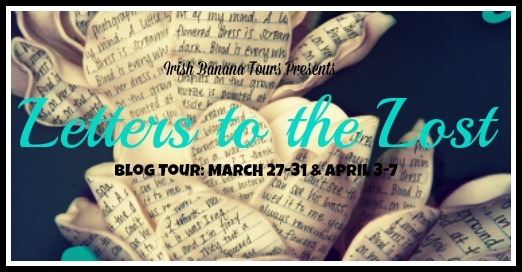 When life at school interferes with their secret life of letters, sparks will fly as Juliet and Declan discover truths that might tear them apart." Review: PUSHING THE LIMITS meets YOU'VE GOT MAIL in this fantastic novel about grief and how we all deal with it differently. You guys, I cannot say enough nice things about this novel. It's the first book I've read all year that I just gobbled up and asked for more. Emotions run high in this book, and I feel like the author did a great job of incorporating the similarities and differences between what Juliet was going through and what Declan was dealing with as well. First off, I have to talk about the characters and how much I adored them. They're both dealing with loss in their own ways, yet they're also dealing with it together through their letters to one another. While neither has any idea who the other person is, they still somehow support each other and help the other grow. The irony in it all is that they both do know each other from school, and neither is a fan of the other. On top of that, you have their best friends Rowan and Rev, who are pretty much the most amazing friends anyone could ask for. There were so many moments in the book where I just kept saying to myself "How do these people not realize the person they're talking to is right in front of them? ", but then I realized I probably wouldn't have been able to see what was right in front of me either. The family dynamics in this book were also very interesting. Though the novel centers around Juliet and Declan's grief, you also get glimpses of what their parents are going through and how they've dealt (and are still dealing with) their pain. My favorite of the parents were definitely Rev's. They play a small part in the book, but you can see how blessed he is to have been adopted by such loving people and how it played a role in his character. This book very much has the underlining message of never judging someone based on rumors, and always giving people a chance. You never know what someone is going through. 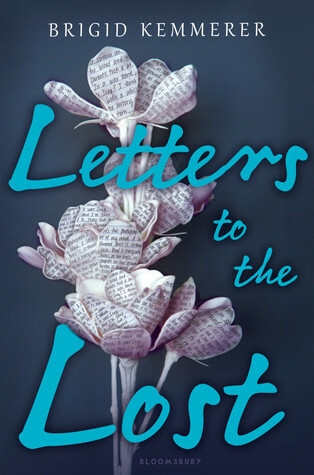 I highly recommend LETTERS TO THE LOST to fans of PUSHING THE LIMITS, SAVING JUNE, and THE SURVIVAL KIT. I love the message behind this book. I'm a huge fan of You've got Mail so I know I will love this book. Thanks for the review! 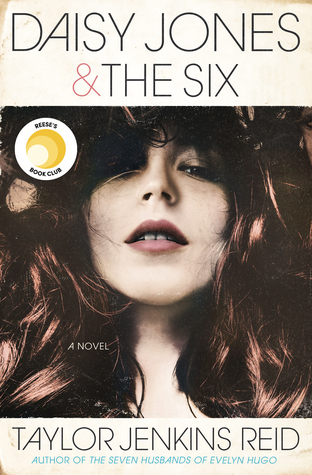 I'm so excited for this book, and glad to see your 5-star rating! I love the underlining message, because it's just so, so true. Thanks for hosting and the giveaway chance. I've been wanting to read this. That cover is damn gorgeous! The message from this book is good .. And i like that. http://ancientpowerfulspell.webs.com I’m glad we both saw our potential and had the chance to work on behavior issues with professionals without the involvement of the other, thanks again Lord Afar for job well done. Effective powerful love spell to fix your broken relationship & get your ex-Lover back fast, all thanks to Dr Unity the best love spell caster online that helped me to bring back my husband today and restore happiness in my marriage. My husband breakup with me and left me to be with another woman, and i wanted him back. I was so frustrated and i could not know what next to do again, I love my husband so much but he was cheating on me with another woman and this makes him break up with me so that he can be able to get married to the other lady and this lady i think use witchcraft on my husband to make him hate me and my kids and this was so critical and uncalled-for, I cry all day and night for God to send me a helper to get back my husband!! I was really upset and i needed help, so i searched for help online and I came across a website that suggested that Dr Unity can help get ex back fast. So, I felt I should give him a try. I contacted him and he told me what to do and i did it then he did a spell for me. 28 hours later, my husband really called me and told me that he miss me so much, Oh My God! i was so happy, and today i am happy with my man again and we are joyfully living together as one big family and i thank the powerful spell caster Dr.Unity, he is so powerful and i decided to share my story on the internet that Dr.Unity is best spell caster online who i will always pray to live long to help his children in the time of trouble, if you are here and your lover is turning you down, or your husband moved to another woman, do not cry anymore, contact this powerful spell caster Dr.Unity on his email at: Unityspelltemple@gmail.com ,you can also call him or add him on Whats-app:+2348071622464 , his website:http://unityspelltemple.webs.com ,his blog:http://drunitytemple.blogspot.com . Tại Việt Nam, nhà cái cá cược M88 tiên phong chiếm lĩnh thị trường cá độ trực tuyến (cá độ qua mạng) đã gần 10 năm và tạo nên tên tuổi lớn trong cộng đồng cá cược, hỗ trợ ngôn ngữ Tiếng Việt và các ngân hàng lớn tại Việt Nam. Với những thông tin trên thì các bạn mới chơi hoàn toàn có thể yên tâm không phải lăn tăn. Bởi xét riêng về độ uy tín, M88 là một trong những nhà cái cá cược online đáng để tham gia nhất hiện nay bên cạnh nhà cái bóng đá 188bet hay nhà cái W88! thank you for the information, nice article. Very good post your interesting to read do not get bored bosanya to read your article.